The GALEX mission is performing imaging and spectroscopic surveys of the sky at Ultraviolet wavelengths, and providing unprecedented sky maps in two UV bands, far-UV and near-UV, and catalogs of UV sources. I will describe the major surveys accomplished so far, and results in investigating the nature of the UV sources. The UV surveys, linked to a multi-wavelength archive, offer great sensitivity to detect and characterize several classes of astrophysical objects, such as low-redshift QSOs, star-forming galaxies, and white dwarfs (WD) in the Milky Way. Efforts towards obtaining a significant census of WDs from GALEX imaging data are described in particular. A dedicated, deep survey of nearby galaxies provides a snapshot of their recent star formation, shedding new light on the process of star formation and its modalities in different environments and conditions. 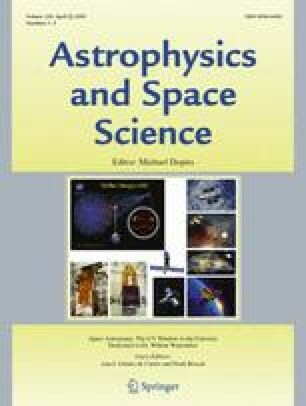 Deep GALEX data revealed young stellar populations in extreme outskirts of spiral galaxies, previously thought to be stable against star formation given their low density. UV measurements for millions of nearby and distant galaxies map the history and probe the causes of star formation in the Universe over the redshift range z=0–2.